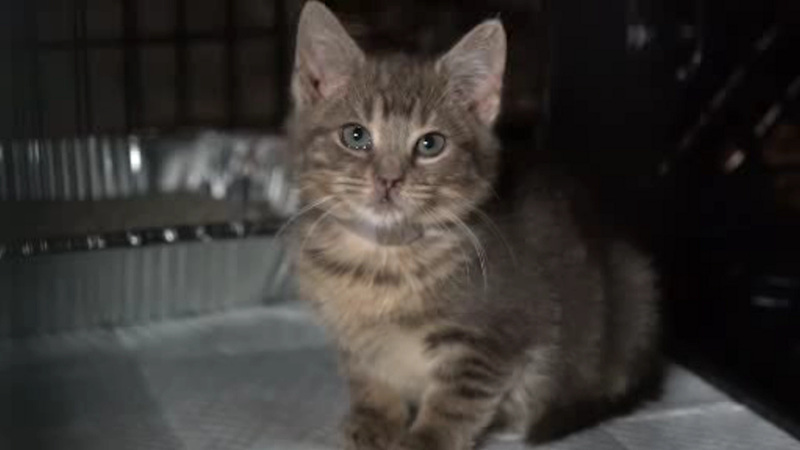 NEW YORK CITY (WABC) -- Hundreds of cats in shelters across New York City are now under quarantine after they were recently exposed to bird flu. More than 450 cats from Animal Care Centers of NYC shelters in Manhattan, Brooklyn, and Staten Island came down with the H7N2 strain of the bird flu. Last week, these cats were transferred to a temporary shelter in Queens that was established by the American Society for the Prevention of Cruelty to Animals. "The ASPCA rapid response team has been nothing short of incredible," said ACC President & CEO Risa Weinstock. "Within hours they were coordinating groups from across the nation to work with our staff to ensure the best care is provided to those cats in quarantine." "Responders from the ASPCA, ACC and other agencies are working around the clock to safely monitor and care for these cats," added ASPCA President & CEO Matt Bershadker. "Once the cats are healthy and no longer contagious, we'll do everything we can to help them find homes." The cats will be continuously monitored and kept under quarantine until tests show that they're healthy and no longer contagious, which could be for as many as 90 days. Any New Yorkers who adopted a cat from any of the ACC shelters between November 12th and December 15th should keep a close eye on their cats. "We continue to urge New Yorkers who have adopted cats from ACC shelters to be on alert for symptoms in their pets and take proper precautions," said Health Commissioner Dr. Mary T. Bassett. The Health Department also says that humans are not at risk of transmission of the H7N2 virus.